Throughout the world there is an increasing focus on protecting the environment and reliance on renewable energy sources. In many countries, waste water streams and organic waste are treated in biogas plants. 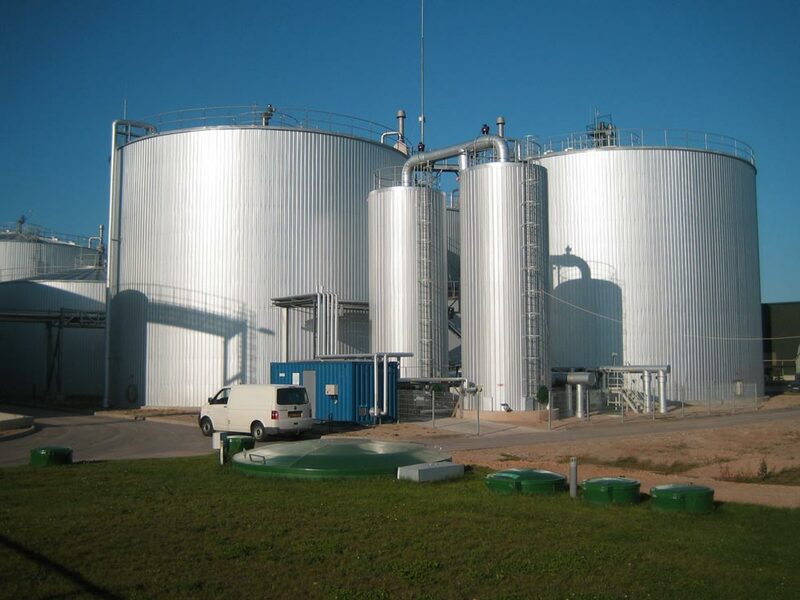 After the waste treatment, the treated water and biomass is recycled in the fields and the biogas used for production of steam or combined generation of electricity and heat. Eneraque supplies a full range of biological H2S scrubbers, from small gas cleaners to the world’s largest gas conditioning operations at distilleries producing ethanol from sugar cane molasses. These gas cleaners are designed to handle any biogas flow and H2S content in the raw biogas, and can be installed in new applications as well as existing biogas plants. Eneraque’s desulphurisation technology is biological – this results in very low operational costs, as the gas conditioning does not consume caustic soda or similar chemicals. A biogas scrubber from Eneraque is not only economical, but also environmentally a good investment. Cleaning biogases for recyclable use throughout industries across Australia. Throughout the world, there is an increasing focus on protecting the environment and relying on renewable energy sources. In many countries, wastewater streams and organic waste are treated in biogas plants. After the waste treatment, the treated water and biomass is recycled in the fields and the biogas used for the production of steam or combined generation of electricity and heat. Eneraque supplies a full range of biological H2S scrubbers; from small gas cleaners to the world’s largest gas conditioning operations at distilleries producing ethanol from sugar cane molasses. These gas cleaners are designed to handle any biogas flow and H2S content in the raw biogas and can be installed in new applications as well as existing biogas plants. All gas cleaners – except for the container type – are constructed with the QSR® (Quick Sludge Removal) system. This system makes it possible to clean the tanks for sulphur and gypsum sludge in less than one working day without emptying the tanks for packing media. It is a unique assurance against long and costly shutdowns of production of power and heat. To inquire about Eneraque’s superior biogas conditioning systems click here to contact us today or call 1800 636 744.